Don’t let a broken refrigerator stress you out. At Mr. Appliance, our skilled experts have years of experience performing appliance repairs in Glendale and surrounding areas. 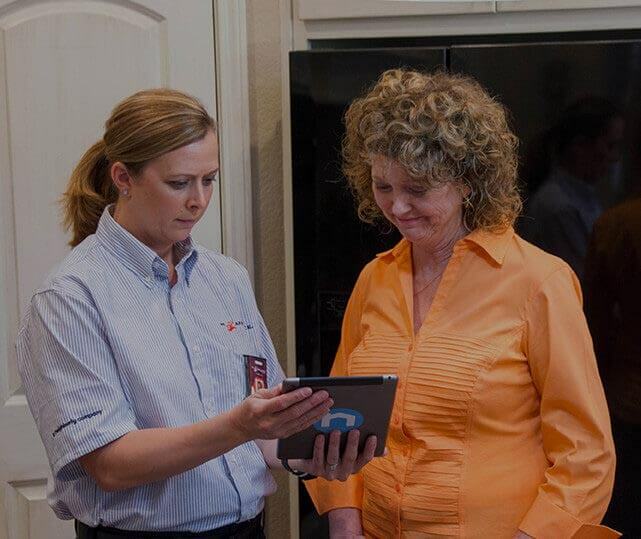 We understand that broken appliances can cost you time, money, and peace of mind. That’s why we work diligently and efficiently to get your machine back in shape again. Are you looking for a Glendale appliance repair company you can trust? Call (602) 899-2423 today! At Mr. Appliance, our skilled repair specialists are passionate about what they do. They continuously build their skills with the newest brands on the market. This insight allows them to provide comprehensive, effective solutions for any appliance repairs in Glendale. We understand that appliances can break at any time. While they may not run on your schedule, we do! We’re always on time and prompt. We leave a clean workspace during and after services. We return our phone calls on the same day. We offer honest, upfront pricing. We’re always uniformed, courteous, and friendly. What Are You Waiting For? Call (602) 899-2423! Whether you are seeking repairs for your appliances at home or for your business, it is important that you take immediate action to get them fixed. Letting a washer leak or a dryer overheat can cause costlier repairs in the future. Allow our appliance repair company in Glendale help you. We understand what a headache such problems can be. Our friendly and courteous professionals work seamlessly to make the process as pleasant as possible. Ready to get on with your life? Call (602) 899-2423!